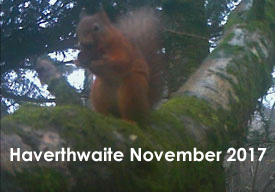 The most serious threat to our native red squirrels is the interaction with the invasive, non-native grey squirrel. 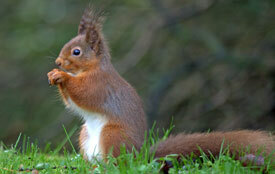 Grey squirrels compete for food and habitat with red squirrels, eventually displacing them. 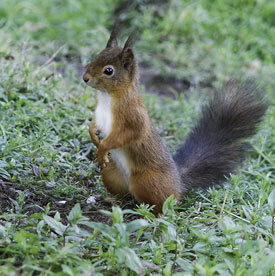 They also carry disease in the form of squirrel pox (SQPV), which is always fatal when passed to red squirrels. 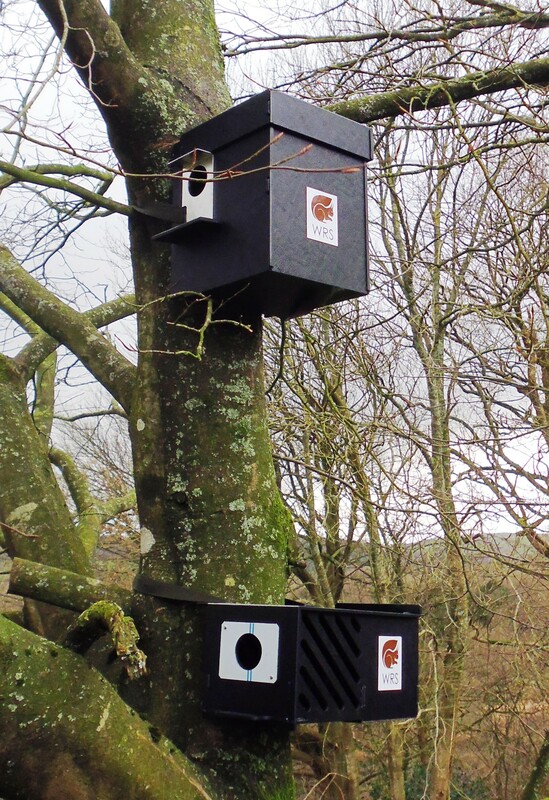 These specially designed nest boxes and feeders have been produced in the UK to provide a safe haven for our red squirrels to feed and nest. If the greys have stripped the area of natural foods before the reds have had a chance to feed, the feeder should provide supplementary food for reds. 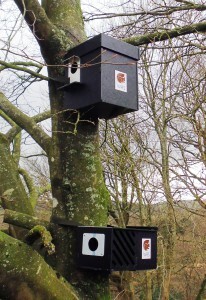 The holes in both boxes are too small for adult grey squirrels to enter. available to purchase at £45 each (P&P on request).